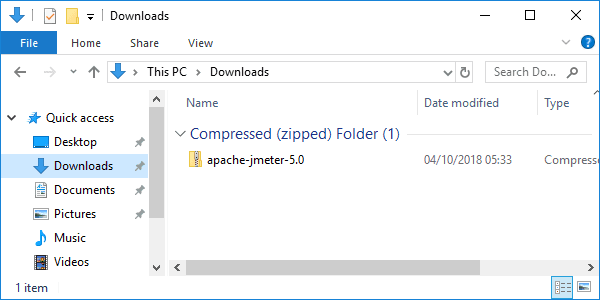 Today you’re going to see how to download and install Apache JMeter on Windows. Apache JMeter is a load testing tool. It focuses on analyzing and measuring the performance of a variety of services. JMeter was originally designed for testing Web applications. Today it has the ability to test many different protocols: HTTP, FTP, JDBC, LDAP, JMS, SMTP, POP3, IMAP, TCP, and others. 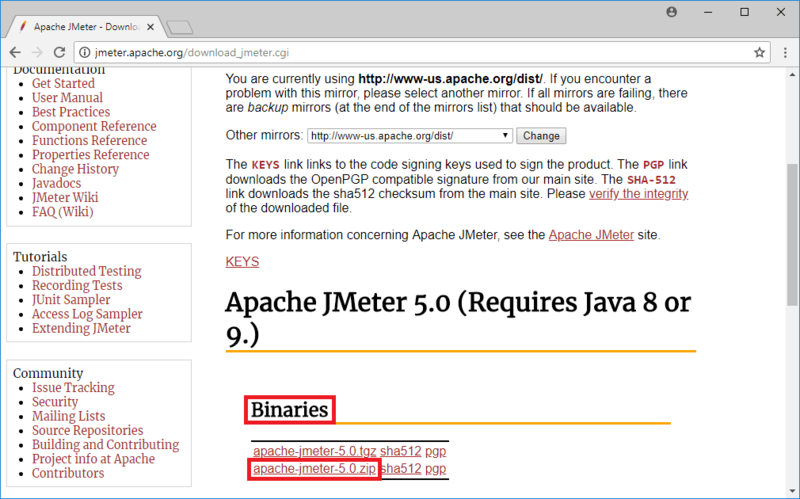 The JMeter project is part of the Apache Software Foundation. A decentralized open source community of developers. Apache JMeter requires Java to work. So let’s check if you have Java configured on your system. 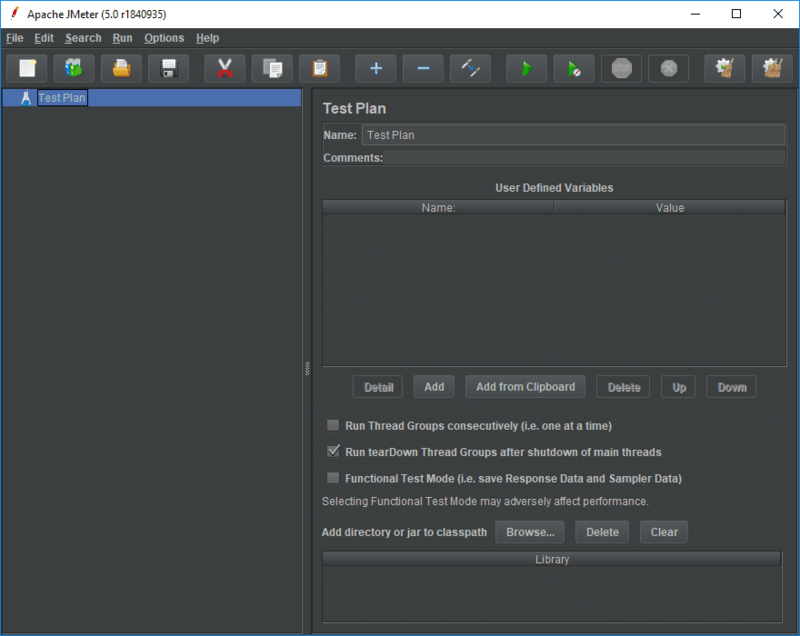 For JMeter 3.2 and onward you need Java version 1.8 or higher. 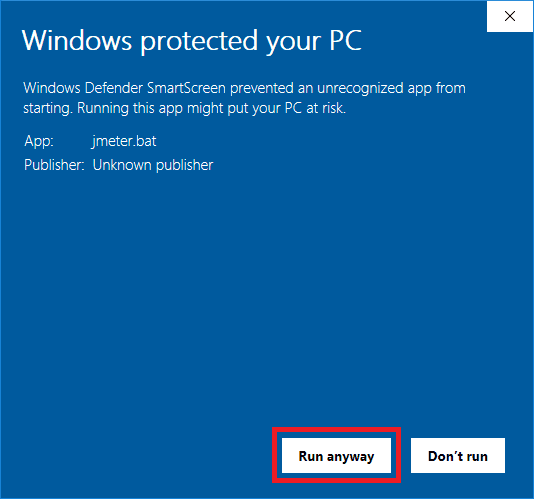 If you do not have Java installed on your system. 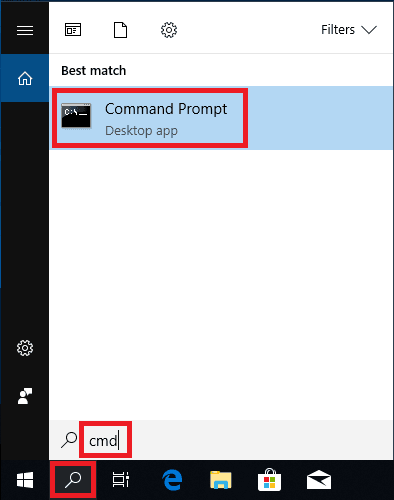 Check following post which details how to install JDK 8 on Windows 10. 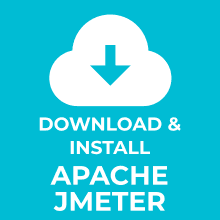 Head over to the JMeter download page. Scroll down and locate the Binaries section. 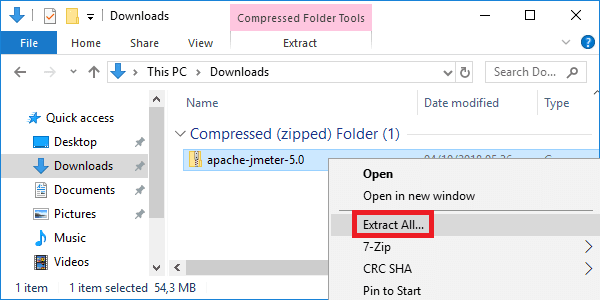 Click on the apache-jmeter-X.X.zip link. At the time of writing the latest JMeter release was version: 5.0. Open the location of the downloaded binary distribution. 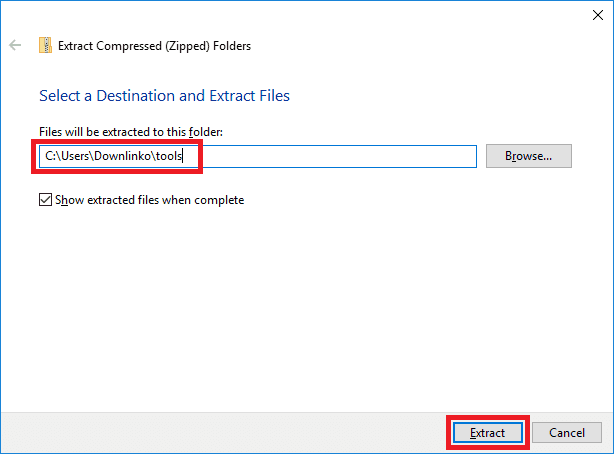 Select an extract destination for the JMeter files. 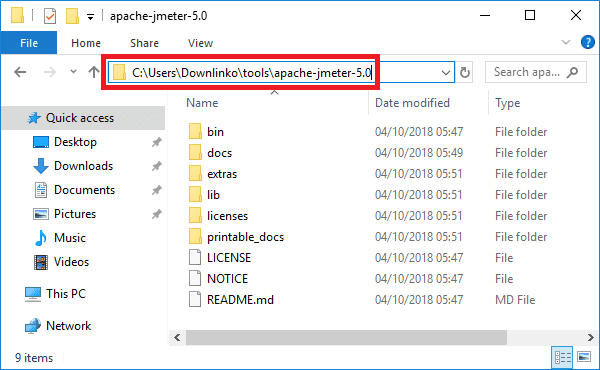 This extracts all JMeter files under C:\Users\Downlinko\tools\apache-jmeter-5.0. From now on we refer to this location as [JMETER_INSTALL_DIR]. You can run JMeter in 3 modes: GUI Mode, Server Mode, and Command Line Mode. Let’s show how to start the graphical user interface. Note that you should only use the GUI mode for creating the test scripts. Use the NON-GUI mode for load testing. Navigate to the [JMETER_INSTALL_DIR] installation directory. Double click on the jmeter Windows batch file. 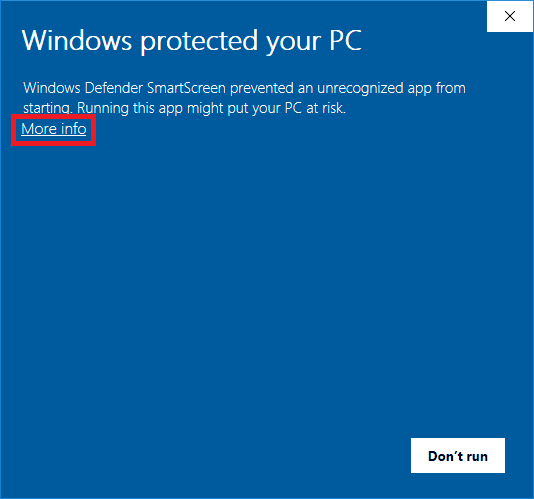 If active, Windows Defender will prevent JMeter from starting. Click on the More info link. A new Run anyway button will appear. Click on it. After a short time, the JMeter GUI appears. 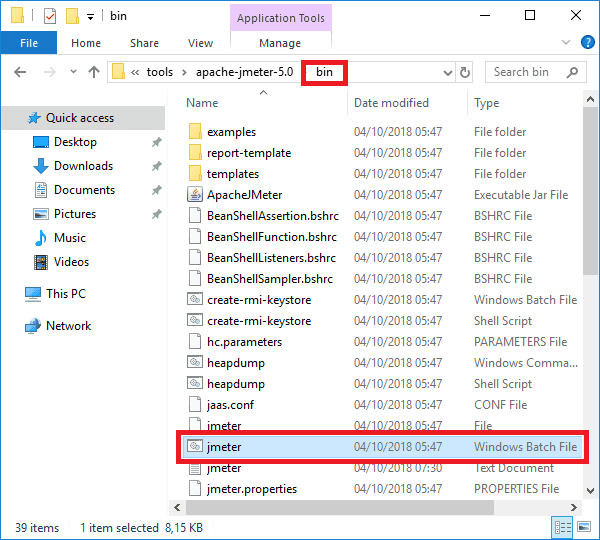 Congratulations, you have installed Apache JMeter on Windows 10! Take the next step and learn how to create a basic test plan. Submit a comment below if you enjoyed reading this post.